For those still unfamiliar with this name, Rodrigo y Gabriela are an acoustic guitar duo hailing from Mexico and residing in Dublin whenever their relentless tour schedule allows them. The almost only ammunition they rely on is the sound of their two guitars, of which they make full use by strumming the strings, tapping the bodies and bringing moving music out of their instruments without any help from a vocal line. An extraordinary achievement as their music aligns a wide spectrum of styles where the core is a fabulous mix of rock, metal and flamenco led by Gabriela’s rhythm and Rodrigo’s soloing. 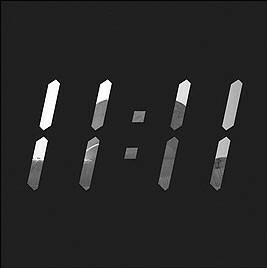 ‘11:11’ is the follow-up to their 2006 self-titled debut, which has sold over half a million copies worldwide and was recorded solely with the two guitars and included their admirable versions of Led Zeppelin’s ‘Stairway To Heaven’ and Metallica’s ‘Orion’. This time around, however, they occasionally introduce percussion, other string instruments and even electric guitar, and present 11 of their very own compositions, each one of which is a celebration of musicians that influenced them, including Hendrix in the blistering track ‘Buster Voodoo’ and Paco de Lucía in the passionate flamenco cut ‘Master Maqui’ (with guests Strunz & Farah). The powerful riffs that come out of the stereo with the opener ‘Hanuman’ set the note for the rest of the album, an energetic, frenzied and vibrant feel, and this is probably my favourite piece. I also admire the way in which the mellower and calm ‘Logos’ evolves into the fiery ‘Santo Domingo’. As a demonstration of their metal influence they invited Alex Skolnick (of Testament and the TransSiberian Orchestra) to play an electric guitar solo on ‘Atman’ and hired Colin Richardson (who worked with Slipknot and Trivium) to mix the album. 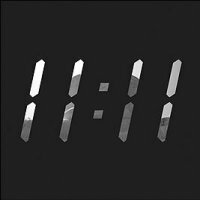 If you are a fan of well executed Spanish guitar work or are remotely intrigued by it, you will love this album because of the mix of different styles with rock/metal, even if you are not into instrumental or widdly guitar albums. Moreover, if you have a chance to see them live at one of the UK dates in November, do not miss it!